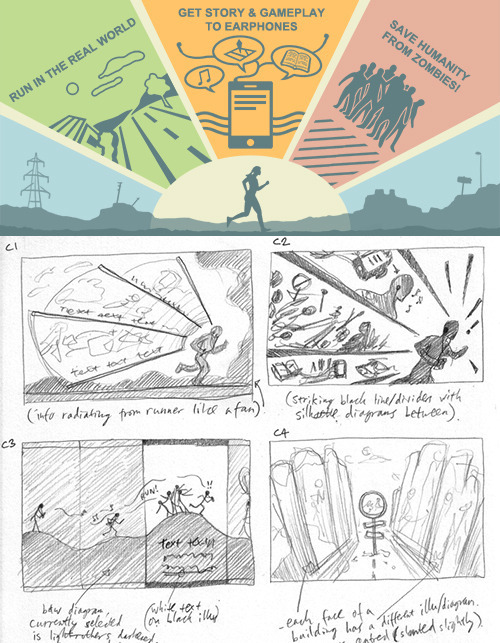 A chat with Estee Chan, Six to Start’s lead artist – Zombies, Run! Estee Chan, the lead artist here at Six to Start, has been pretty busy recently. We grabbed her for a quick chat to discuss her work on Zombies, Run! and what else she’s been working on. 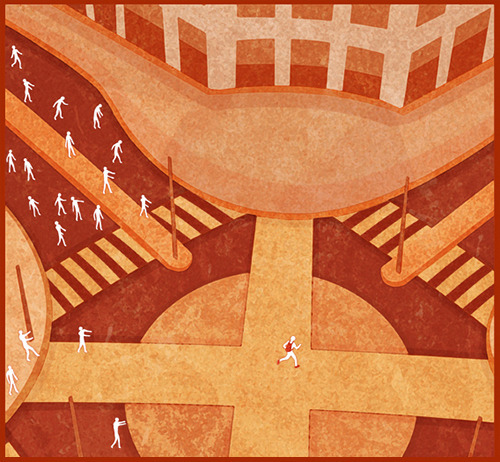 There are a lot of zombies games and TV shows out there – how do you tackle the challenge of making Zombies, Run! look different? Good question. At the start when we were designing the first Zombies, Run!, we didn’t initially have the intention to draw in zombies for the app, since the story and audio did very well in conveying the feel of the zombies’ presence and atmosphere. The majority of the art in the ZR series is focused on the buildings in the base and environments which play an important role in the story. The art reflecting the urgency of the situation via the damage states in the Base structure and deteriorating landscape seemed more powerful and ‘realistic’ than putting in loads of zombies. I guess that’s one visual difference of ZR compared to other zombie games – the lack of zombies in it. We did, however, later on decide to draw in zombies for illustrative purposes e.g. in the tutorial screens, promotional poster and some of the T-shirts. However, the look of the zombies differ from the norm seen in films and other games (bloody, fleshy and gory aesthetic) while still recognisable as zombies, perhaps in a more conceptual form. Silhouettes of dark figures seemed to work well with the clean and crisp look of the app design and even in the logo (it still feels kind of surreal to see my hand silhouettes everytime I look at it!). I remember in our early discussions one of the rules was to have NO BLOOD in the art, and so I guess we already wanted something clean and different in mind very early on. What are you able to do in Zombies, Run! Season 3 that is different or better than in previous seasons? We introduce artefacts in Zombies, Run! 3 and graphics are created for these to give visual detail to their text descriptions instead of just showing icons like in the previous seasons. 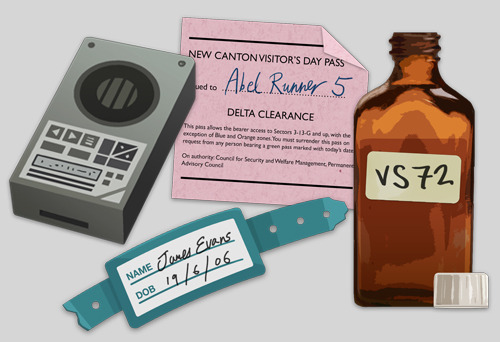 Artefacts were used in our other app successfully – The Walk, and they help give the game richer content and add more impact and texture to the story. In terms of the overall visual design, perhaps it’s not as big a leap as from ZR1 to ZR2, since many of the assets from ZR2 still fit very well and in-line with the design of ZR3, as it is meant to be a continuation. So we felt that it was not necessary to make a major change in the art direction as we still want the users to feel familiar and ‘at home’ with the base they know. Much of the focus was put in polishing-up the artwork and adding new content (artefacts, new buildings, add-ons and amenities) to make it richer and more relevant. 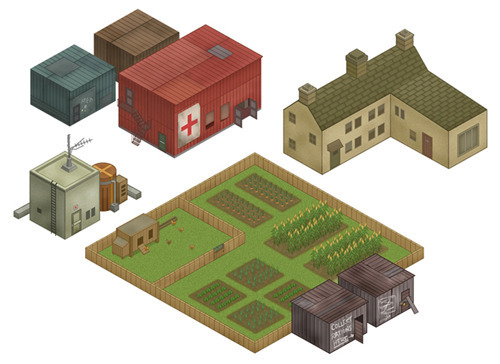 Looking at the art style, if you compare the art in the first game to the new ones you may notice that the graphics have become a lot cleaner with flat-shaded colours and outlines around buildings, as well as being less gritty. I am still surprised to hear that some people thought it was ‘pixel-art’. Perhaps the clean straight shapes and isometric perspective eluded to that. But basically it was all simply painted with various brushes in Photoshop. This proved quite tough at first especially drawing in isometric perspective for everything, keeping things properly aligned to each other and maintaining the correct scaling of buildings consistently throughout the Base, etc. Tell us about your personal creative process. I guess that differs between projects. Since I began work at Six to Start in 2010, every project had been fun and challenging. For example, early client work such as The Code for the BBC involved a lot of planning for the exact art assets needed to complement the design. It was mainly working very closely with the game designers and developers and producing batches of graphics to set schedules, and the tasks were managed one after another until completion. Only later with Six to Start’s own projects was there more creative freedom and input in the artwork and style of graphics. For the Zombies, Run! series and its C25K app there was flexibility in how they could look, and the artwork was iterated and revised throughout many discussions until a final preferred style was adopted. Often while working on the main projects I will be working on other projects in the same time. During the client work period I was working on The Code plus art for several smaller projects for other clients; and during the Zombies, Run! 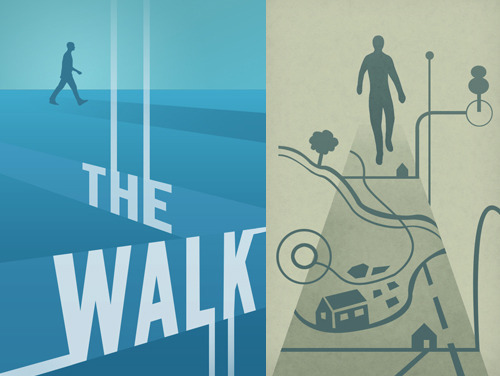 series I was also working on the art for The Walk whilst brainstorming and mocking-up designs for a few other new games (more on those later). Being the only artist in the team, it was very important and my responsibility to manage and balance the amount of time spent between projects and allocate tasks accordingly to meet various soft and hard deadlines. 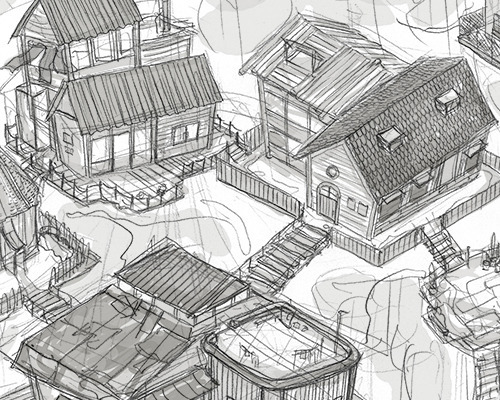 At times when it was tough it was necessary to hire other artists to help out, in particular for some of the Base art in ZR2 and the maps art in The Walk. In terms of how I go about with developing the work creatively, after getting the brief or concept of the design, I usually start by sketching out ideas and then mockup some designs in Photoshop. I use a lot of reference and inspiration from things I see, images online, books, etc. in order to make the designs I create look more convincing. 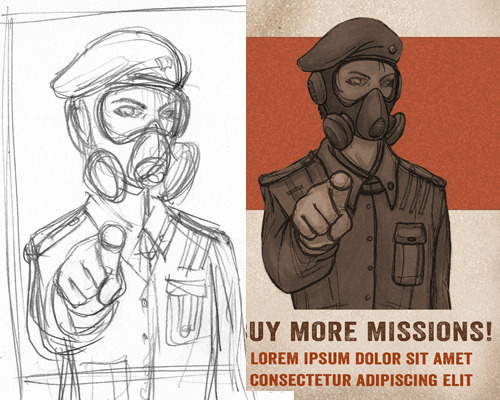 Mockup art is shown to the team throughout early development to allow feedback and comments which helps further the design and art direction. Often ideas will be bounced around for a period between the designers, writers, developers, etc. until more solid concepts can be realised, and I find that the various input from everyone helps inform the art I create in the end. In the latter half of development, I usually work more closely with the developers to complete the assets needed for the code and resolve any problems that may sometimes arise in the process. Other than artwork for Zombies, Run!, what other projects are you working on? We recently finished The Walk which is a very beautiful app thanks to the amazing map artists Kasha and Dakota. We’re currently putting the final few touches on ZR3 before release and I’m working on two new games – one is very different to other games I’ve worked on in terms of tone, style and content; as well as being more ‘action-based’ I guess and probably Six to Start’s first game with 3D content and animations! So I’m really excited about that. The other game is smaller in scale (however would probably end up being quite addictive) and the idea is a lot simpler with probably cuter-looking art – which is something we haven’t really done before – think cute, colourful, brighter, happier game perhaps?